The U.S. Army Corps of Engineers unsealed bids for the planned Manasquan Inlet to Barnegat Inlet beach replenishment project on time last Friday. Steven Rochette, spokesman for the Corps’ Philadelphia district, told Shorebeat on Monday that three companies – Weeks Marine, Great Lakes Dredge and Dock Company, and Manson Construction – submitted bids for the project. Weeks Marine, a Cranford, Union County, based company submitted the apparent low bid at $128,820,433. Great Lakes’ bid was $151,861,106.40 and Manson’s was $178,416,600. The Corps is currently reviewing the bid packages and will make an award shortly, officials said. Both Weeks and Great Lakes Dredge and Dock have history completing projects in the region. 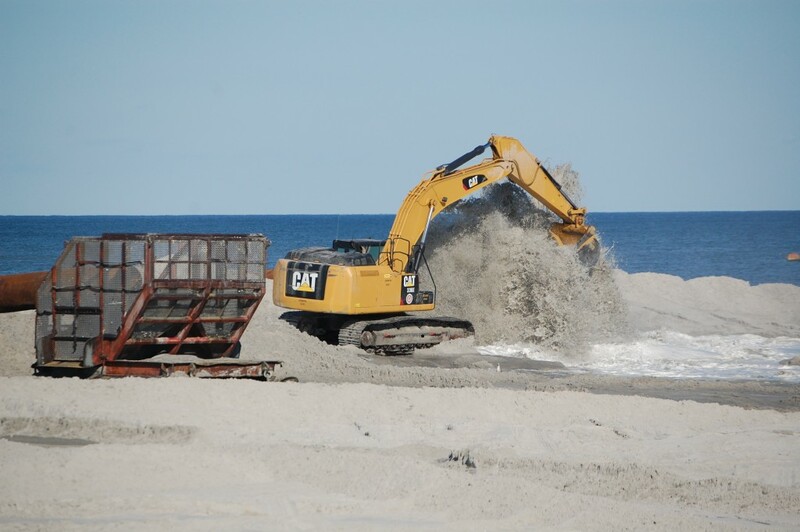 Weeks has undertaken beach replenishment projects in Cape May and Ocean City, Md., while Great Lakes is in the midst of completing an island-wide beach replenishment project in Long Beach Island. Weeks also performed replenishment work in Long Beach Island as part of a 2011 project. Bid packages did not delineate which communities in northern Ocean County would receive replenishment first in order to effect cost savings, officials have said.